The Bounty of Yamhill County made it to the big leagues of food festivals this year. It had to live up to being ranked #2 nationwide by USA TODAY. But what’s not to love about local (but world-class) wine, chefs and farms? 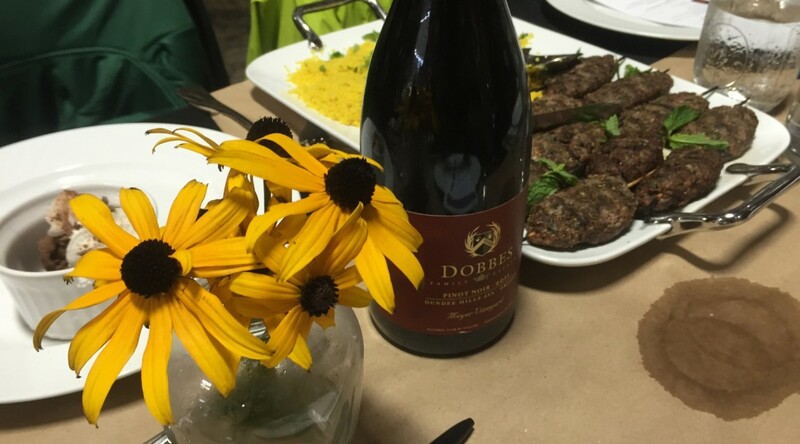 I was invited to the Food + Wine Pairing class on Sunday, Aug. 30th, 2015 at Dobbes Family Estate. 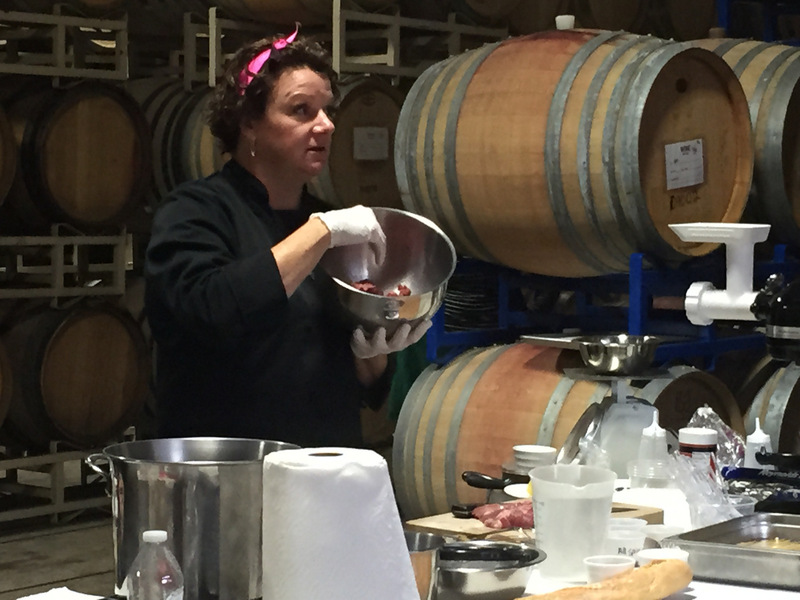 Chef Wendy Bennett led the interactive cooking class while the winery poured their excellent vintages. 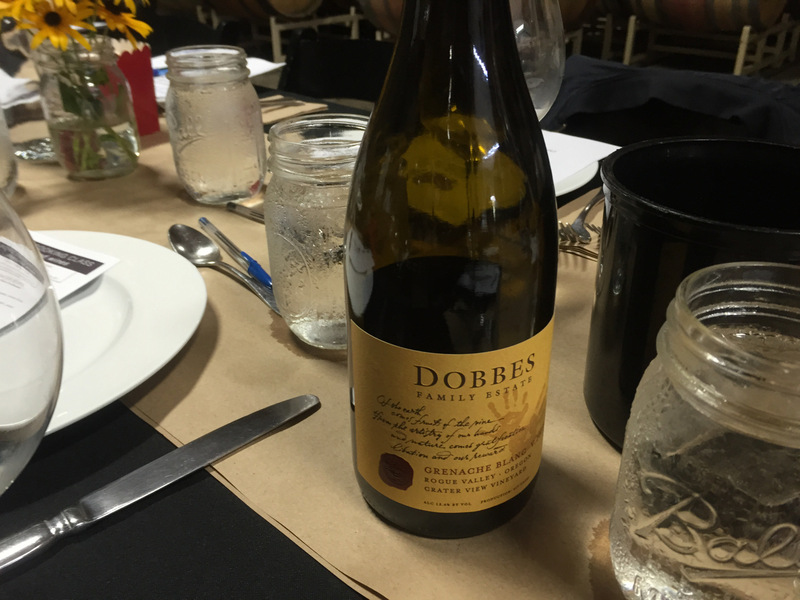 The class got rolling at 10 am, which is not too early to enjoy the 2013 Dobbes Grenache Blanc. The class was set up in the cellar room amidst the wine barrels. 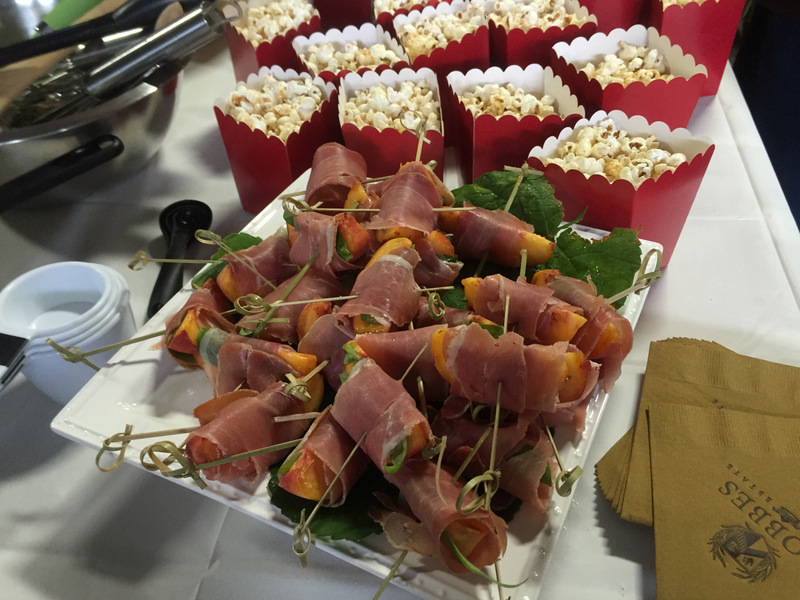 While we enjoyed snacks of Moroccan-spiced popcorn and peaches wrapped in proscuitto, Chef Wendy explained how we were going to cook our own Mediterranean-inspired lunch with the bounty from local farms. Ruh-roh! I guess I’d be the second Chef Wendy for the day. Luckily, I’d just be part of a team. Chef Wendy’s popcorn secret is to pop it in duck fat, then add olive oil and spice mixture to season instead of butter. I enjoyed the REAL Chef Wendy’s demonstration of how to grind the lamb, make the couscous, panzanella salad and chocolate budino. The recipes were elegant but easy enough for beginners. By the end of the demo I thought I could take the recipes and put together a great brunch for friends. 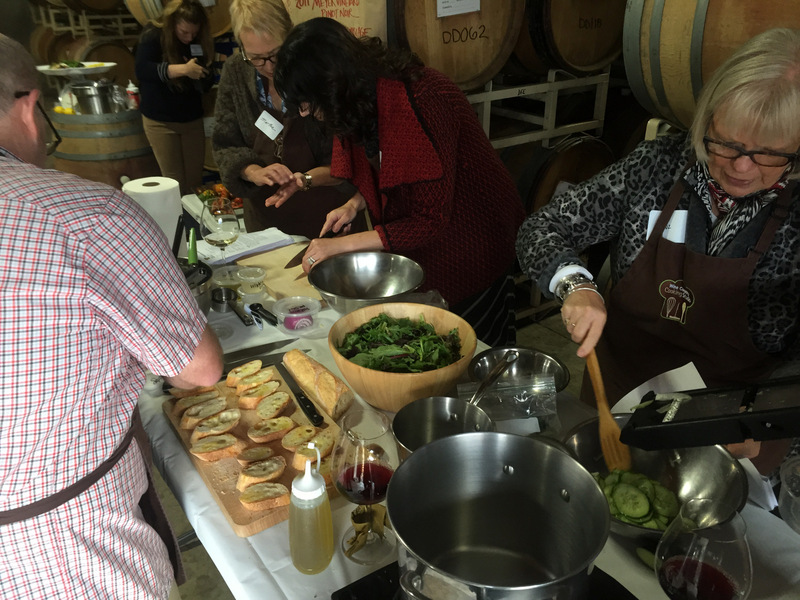 This made me look forward to taking a class at her Wine Country Cooking Studio in Dundee. We split into three teams to get cooking. The ingredients were laid out for us and pre-measured. That didn’t stop us from making some mistakes, but in the end everything tasted fantastic. I avoided the knife-work and managed not to draw blood with the mandolin slicer. 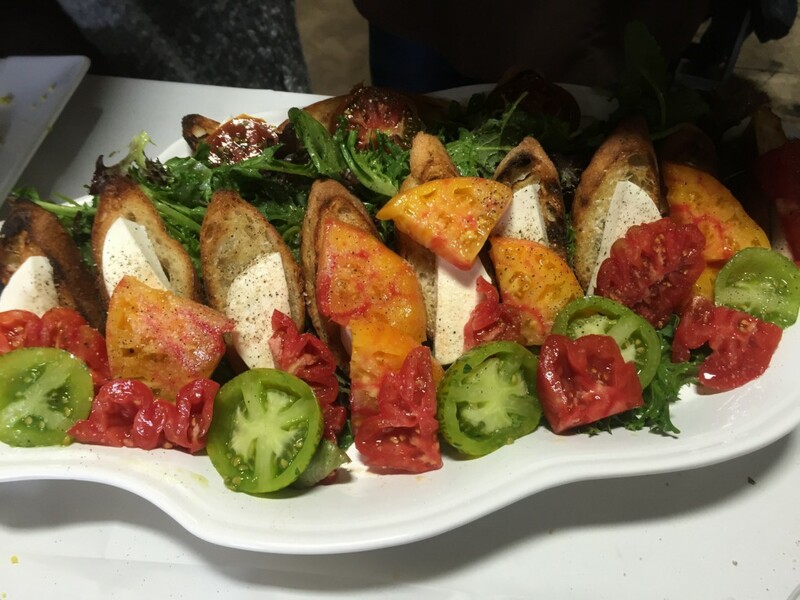 The Panzanella-inspired salad with grilled bread, fresh mozzarella, heirloom tomatoes, summer greens, quick summer pickles and kalamata olive and caper salsa was super. It truly celebrated the tomato crop. I somehow have avoided making my own pickles since we canned them when I was a kid. Now I’ll be brave to do a quick pickle. The lamb koftka were easy to prepare (if you have either ground lamb or a meat grinder). I loved the seasoning. I’m a big fan of couscous and I appreciated the cilantro and lemon juice seasoning. 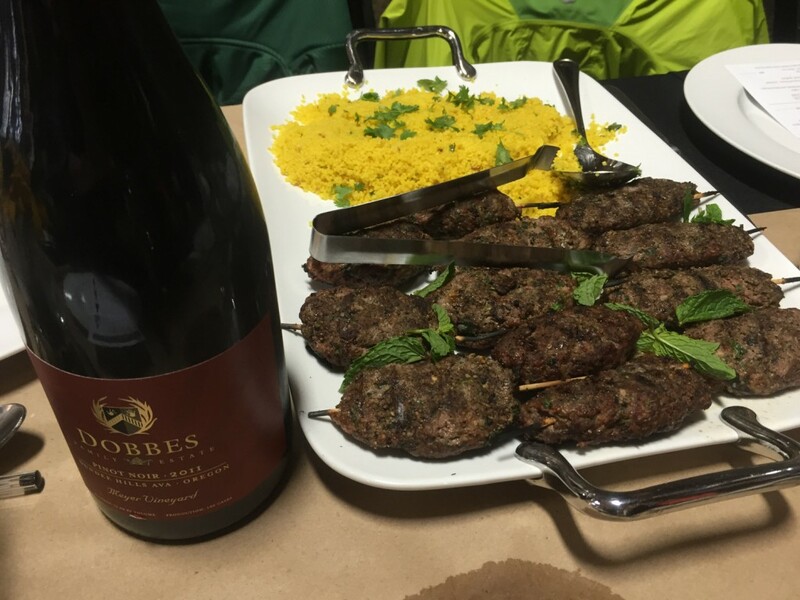 The Dobbes 2011 Meyer Vineyard Pinot Noir is a good accompaniment to meat and a beautiful expression of our great local wine. 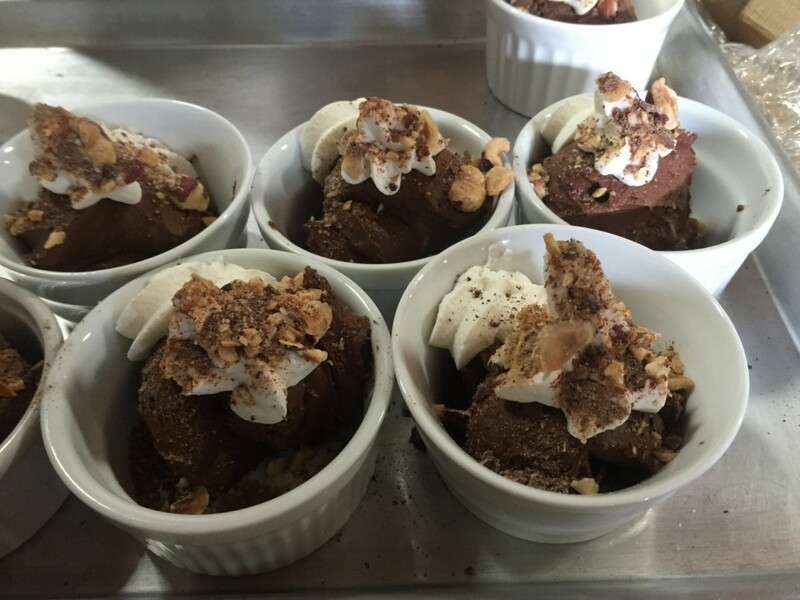 A dark chocolate budino is a decadent finish, especially on the heels of great red wine. The cooking class was a blast and it whet my appetite for future classes with the real Chef Wendy. I took home great recipes that I’ll be able to use. I look forward to the August 26-28th, 2016 Bounty of Yamhill County, it will be worth the trip! The culinary festival benefits Yamhill Enrichment Society (YES). This charity has a Books for Babies program to send home books with every baby born at McMinnville Hospital. Books in the home are the biggest predictor of success in school and life, and this is a cause everyone needs to support. They further sponsor programs in building equitable food systems, music enrichment and living history. It feels great to enjoy an event that has year-round benefits to the local community.